One of the joys of writing this blog is that I get such interesting emails in response. So far I have had the honour of talking with descendants of Charlie Howell, Fred Stephens and a model for May Cooksey, together with many other lovely people who drop me a line for a chat. 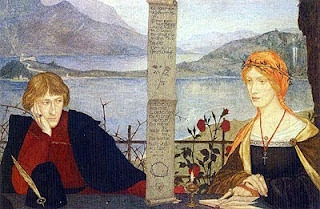 This week has been a corker as in my mail box I found a note from Lila (hello Lila) who had just become the proud owner of a cheque from Rossetti to Fanny. She asked if I’d like to see it. Why, yes, yes I would. You may have to wait for me to stop screaming first. Hither came splendid scans of said cheque and I did a little dance of joy. The cheque is from January 1881 and is for £20, no doubt a gift for Fanny’s birthday (which is at the beginning of January). 1881 was a year of mixed fortunes for Fanny and Rossetti. Fanny had married John Schott in 1879, in response to one of Rossetti’s rather petulant turns while away in Herne Bay, and she had moved to the Rose Tavern, safeguarding her future. 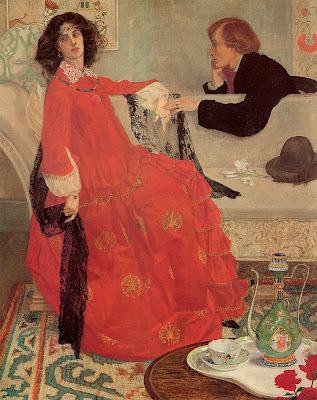 When Rossetti returned to Chelsea, Fanny returned to him and their relationship returned to as it had been before, despite the presence of her new husband. 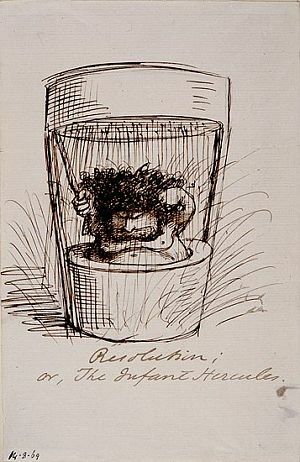 The letters of 1879 and 1880 are littered with little notes from ‘Rhino’ to ‘Elephant’, some clearly under the influence of either drink or chloral, or both, where Rossetti pleads for her to keep him company in the evenings and at night, with promises of ‘tiddy’ cheques, small amounts to buy her favour. The letters become fewer, possibly because she needed less persuasion to come to him each day as his health was so uncertain. All of these cheques went into 'The Elephant's Hole', Fanny's savings, together with other items of worth which migrated from Tudor House up to Fanny's own home in Royal Avenue. 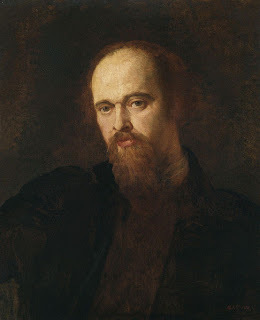 The closeness between Rossetti and Fanny became strained by the introduction of a keen young man, Thomas Hall Caine. If you have read his autobiography, Recollections, you will know how florid his 'recollections' of the great artist were, including an entirely improbable scene when Rossetti dies in his arms. 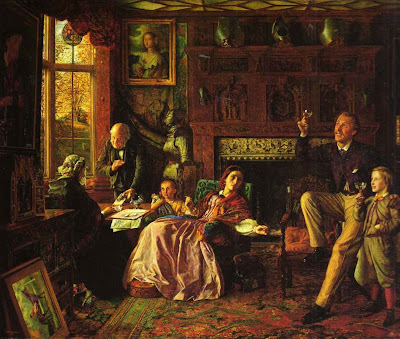 To begin with, Hall Caine liked Fanny and they sat and gossipped, Fanny letting rip about some of Rossetti's friends and what she knew about them. When it came to William and Jane Morris, Rossetti overheard her accusations and laughed, saying ‘But who believes anything said by the Elephant?’ In a letter to a friend, Rossetti credited Fanny with helping him reduce his chloral use, a very positive act in her favour. 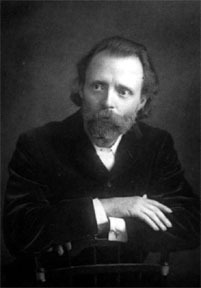 However, while on holiday together in Cumbria in 1881, Hall Caine felt the need to ‘unmask’ Fanny as trying to get Rossetti’s will changed, which must have immediately put the family on alert. Fanny counter-claimed, stating that Hall Caine had been exchanging Rossetti’s chloral for water and the whole holiday dissolved into recrimination, goodness knows Rossetti’s paranoid state would not needed much of a push to turn on anyone and everyone. 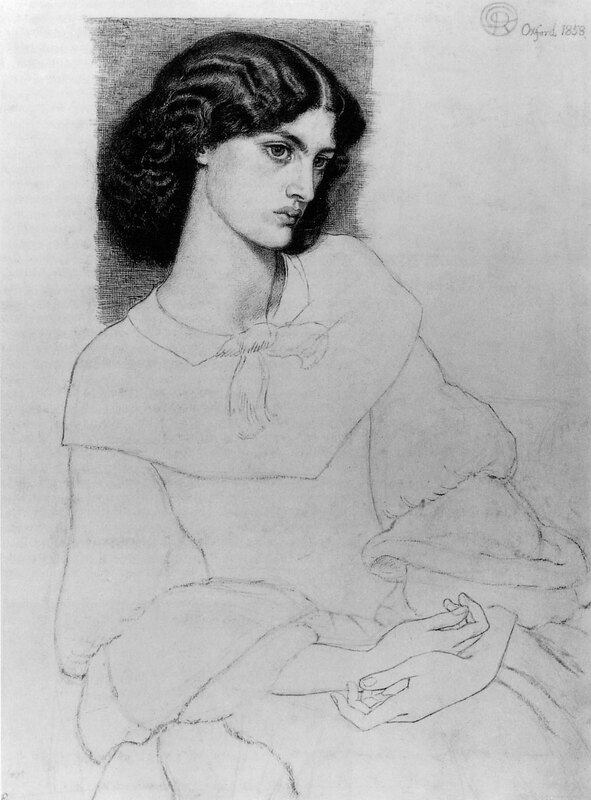 In November 1881, Rossetti wrote that he would not be able to see Fanny until he wrote again as his illness and mental state (and the influence of his family) would not allow it. It wasn’t an unusual threat as he had written such missives before, when he feared for his health, feared the opinion of others, or had been removed by family away from any bad influences. However, this time he never wrote again. He died in the April of the following year. In the fallout of his death in 1882, Fanny’s attempts to claim her ‘due’ as his common-law wife set in stone her reputation as the worst sort of woman and brought out a particularly vicious side of William Michael Rossetti. 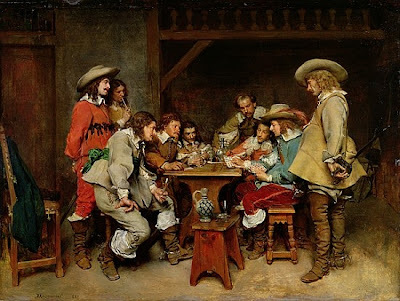 When John Schott attempted to collect on a £300 IOU from Rossetti, William lost any semblance of control, he took his brother’s accounts apart and tallied up all the amounts his brother had given to Fanny. It amounted to £1100, at which point steam began to leak from William’s ears. He proposed to ‘terrorise’ Fanny over what he perceived to be the theft of the portrait of his brother by G F Watts, which Fanny had been selling engravings of. Fanny promptly produced a signed document from her lover, saying the picture was hers. In the end, the Schotts were given hush money of £65 to go away and never trouble to Rossettis ever again, possibly admitting that neither side had a flawless case in their favour. Now, what I think is difficult to comprehend is how much these amounts were actually worth in today’s money. By the magic of the National Archive’s money conversion machine, we can see how affecting these ‘tiddy’ cheques became. 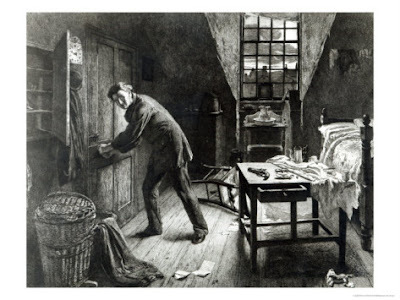 Starting with the £300 IOU from Rossetti to Fanny, dated 31 March 1875, in today’s money it would amount to around £14,000, hence William’s seizure at the sight of it. Then again, the amount of £1100 in 1882 comes to £53,000. Yikes. Settling for £65 or around £3,000 in today’s money seems tolerable in comparison. You would have been 178 today, had you been unnaturally long-lived, but just imagine the amount of things you would have achieved had you lived. Blimey, we might all be living on Mars by now, with really great wallpaper. 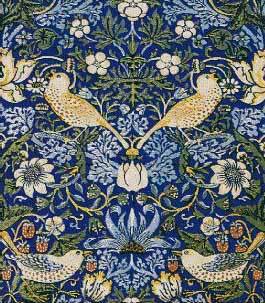 Anyway, it strikes me that William Morris had three definite periods to his life, which I will elucidate now. I have no idea what the word 'elucidate' means, by the way. 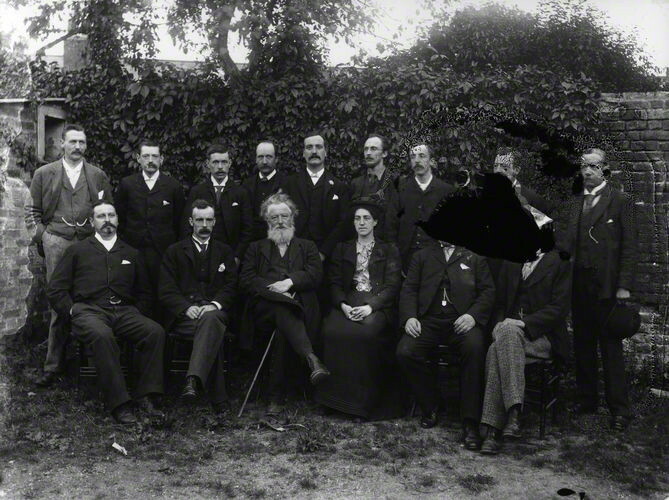 William was born in Walthamstow in 1834, to an affluent family with pretensions to nobility. Mr William Morris Senior was a partner in a firm of bill brokers in London and was granted his own coat of arms in 1843. 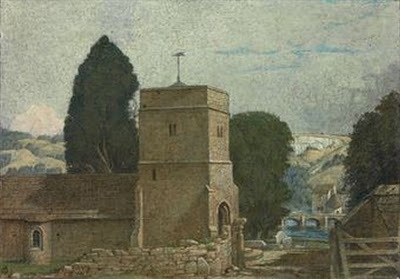 William Jnr's money came from his father's 1840s speculation on a west country copper mining project, and provided not only a larger family home, but also the means on which all his adult life endeavours were based. He was six years old when the family moved toWoodford Hall, where the young William was able to play at being a Walter Scott hero as he rode his pony through the grounds and woodland around his home. A fact I never realised was that when William went to school at Marlborough College in the centre of Wiltshire, he learnt nothing but an appreciation of history, from visits to Silbury Hill, Avebury and the Pewsey Vale. He was tutored at home after being kicked out of Marlborough following a riot (heavens above, how naughty) and by the time he entered Oxford, he was a well-read and knowledgeable young man. 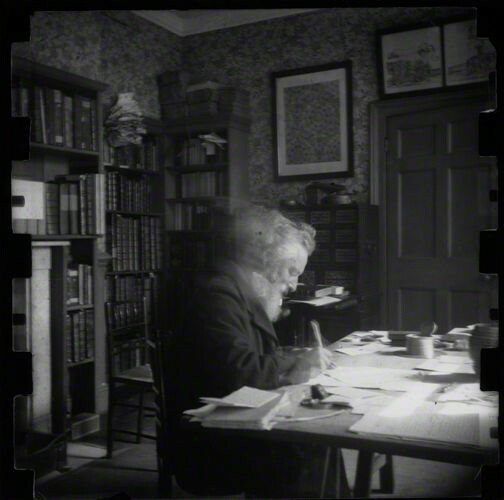 When Edward Burne-Jones (at that time, plain Edward Jones) met William Morris, he thought that there was no-one else in the world like him, 'From the first I knew how different he was from all the men I had ever met...he talked with vehemence and sometimes with violence. I never knew him languid or tired.' It was Ned that nick-named him 'Topsy' after the character in Uncle Tom's Cabin (to 'grow like Topsy' meant enormous and unplanned growth, and described how the originally slight Morris became somewhat more solid). Between them they formed a 'set' or 'brotherhood' (oh, look, another one) that included Charles Faulkner and Crom Price, who were to remain life-long friends. 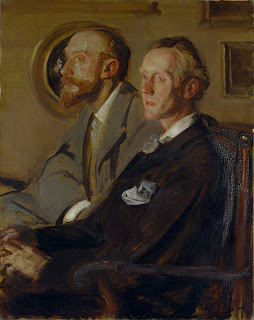 Both Ned and Topsy believed their futures lay in the clergy. In his self portrait of 1856 (right) there is definitely something of the curate about his appearance, so young and studious. He was clever, rich, generous and well bred. His passion and intelligence gave him friends, gave him purpose and provided him with the drive to see his aspirations through. When Ned and Topsy toured Northern France together in 1854, the both realised that their future lay in art and architecture. Despite not finding his feet as an architect, Morris found the training he received invaluable to his future as a designer, and also led to a life-long friendship with Philip Webb. 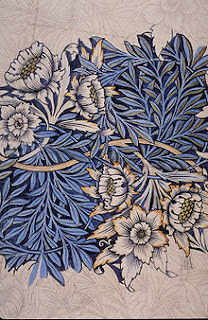 Actually, it strikes me that with one very notable exception, any friends that William Morris made during his life held him dear and repaid his friendship with devotion, which should tell you something about him. 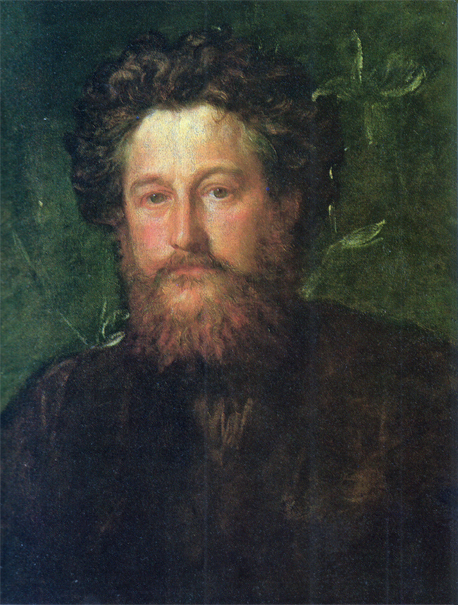 Isn't it interesting that more often than not, the image we have of William Morris is due to the one person who really should not have been rewarded with his friendship, but I'll come to that in a minute. I don't know how William's life would have been different without Rossetti. Before they attended his class, both Ned and Topsy were already fans, and so when they accompanied Rossetti back to Oxford to paint the Debating Room, they were sealed as the merry band, a defining moment in second generation 'PRB'. 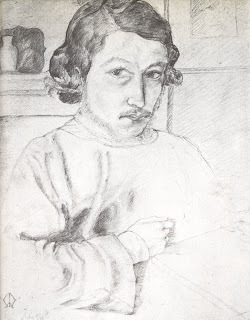 The actual project was fraught with issues - inexperience with the paint and difficulties in the building worked against them, but on one evening trip to the theatre Ned and Rossetti came across a young woman called Jane Burden. William famously wrote that he couldn't paint Jane, but he loved her, across the canvas, and declared that he was finished with painting due to his dissatisfaction with it. 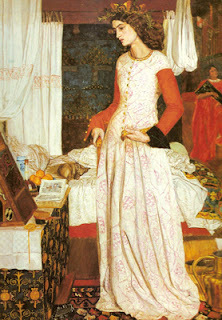 Now, I wonder, seeing that William's portrait of Jane perfectly matches that of Rossetti, and his picture, although somewhat formal, gives a gorgeously patterned, medieval feel to the endless pictures of sighing damsels produced by his friends at this time, if anyone suggested to William that he wasn't good enough to continue painting. 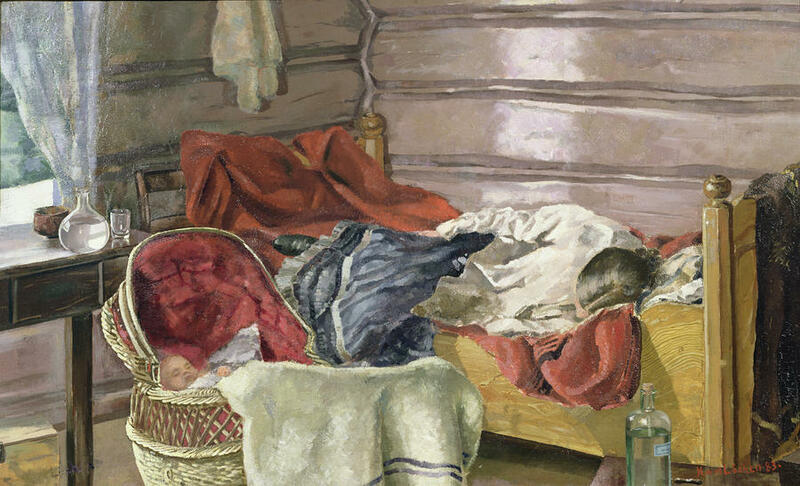 Rather like Fred Stephens, who seemed perfectly good at painting yet gave it up, he may have found the process too difficult to justify the results. 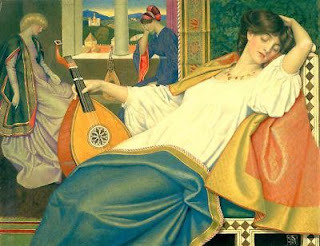 Mind you, judging by his subsequent embracing of all manner of different crafts which he mastered, it is hard to imagine Morris quitting because he found it a bit tricky. Well, we shall never know exactly, other than Philip Webb's account that William 'struggled' and found he hated the results. Yet his results were almost identical to his admired friend, Rossetti. 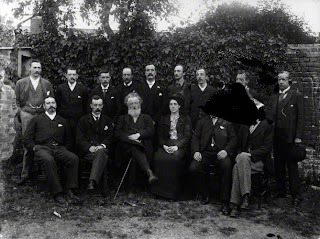 Jane and William were married in 1859 and William made plans to build The Red House in Bexleyheath in Kent (now a spectacular National Trust property). 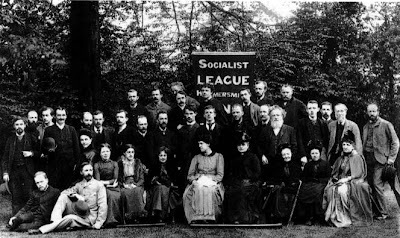 Their daughters Jane Alice (Jenny) and Mary (May) were born in 1861 and 1862 respectively, and William set up the company Morris, Marshall, Faulkner and Co with his friends. Of all the partners, William was the only one who didn't have to split his time between the company and his own work during the first five years of the company, as he had the luxury of his own wealth. Until the company started earning money, William was the only one who dedicated all of his time to it, making the move from Kent back into London inevitable, especially when the company began to attract more and more work. 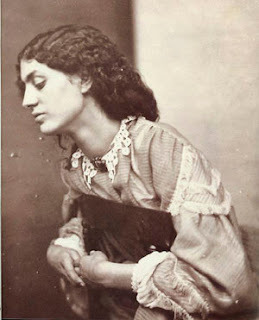 Coming back to the city also meant that Jane could begin modelling for Rossetti again. 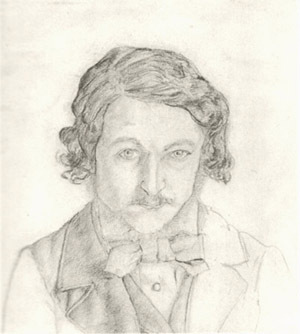 Rossetti refused to call William a 'poet and designer', proposing this other title in a letter to Jane. 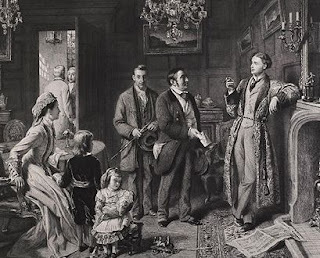 Although Rossetti gives a quite genial account of himself to Morris in these letters, there is more than a little mocking in the cartoons, more of which followed in the following year, when William removed himself and his family to Germany for the good of Jane's health. 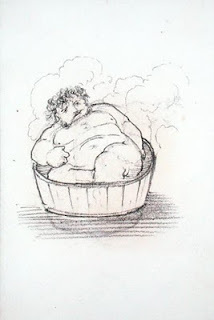 The tone of Rossetti's cartoon about William are mainly to do with how ridiculous it was for someone like William (fat and clumsy) to be with a goddess like Jane. William is portrayed as a fool, obese, hopeless, trying too hard, and generally not being good enough for Jane, who is perfect. 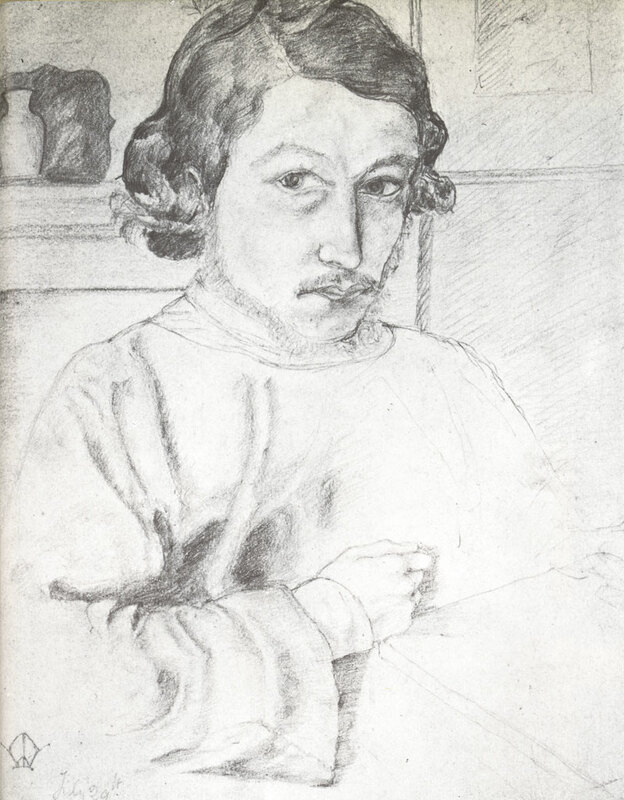 Throughout these cartoons, Rossetti refers to William by his nickname 'Topsy', disguising malice with a friendly smile. 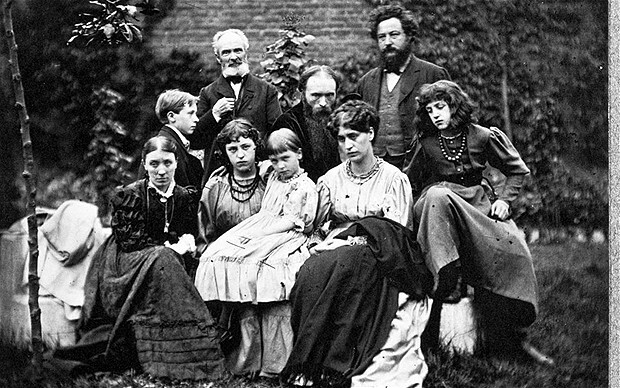 Going back to what I wondered about William's rejection of painting, it seemed that Rossetti continuously inferred that Morris was not good enough to be with Jane, and on 6 July, 1871, Morris set off to Iceland, leaving his wife to be alone with Rossetti. ...should be remembered for allowing adultery to happen under his roof. Mind you, if Morris was such an unpleasant, violent man, it makes you wonder why he didn't react with unpleasant violence under such provocation. 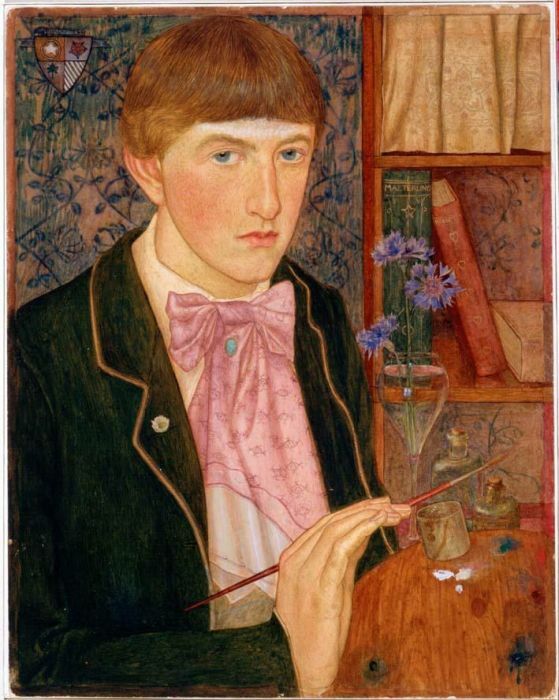 Despite Rossetti's continued obsession with Jane that lasted until the end of his life, the Morris family remained more or less intact, and William's passion turned to politics, which he saw as a natural extension of his work. William's later years, after the death of Rossetti in 1882, became increasingly involved in the world of politics, and he formed the Socialist League in 1884. 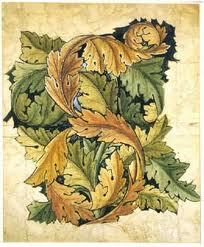 His writing also continued with the advent of the Kelmscott Press, founded in 1891. 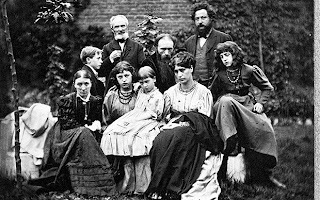 After William and Rossetti's relationship became understandably strained, Morris and Burne-Jones seem to have become even closer (if that was possible) and the two families spent considerable time in each others company without anyone having to go to Iceland or anything. Friends don't make friends go to Iceland in order to sleep with their wives. I think the difference is that Ned often appears beside his friend in the pictures, a weary wraith to Morris' chubby ball of dynamite. 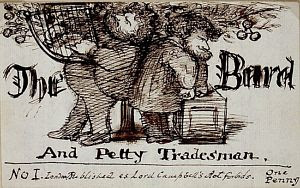 Unlike Rossetti's snide digs, there seems actual affection in the relationship, and the pictures often refer to incidents between the two of them where Ned is as ridiculous as his friend. You do indeed, Topsy, you do indeed. 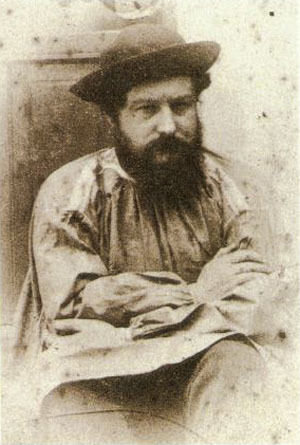 After leaving Birmingham, Armfield travelled to Paris to study and then on to Italy, where he found his spiritual home. He returned to England, married a young playwright called Constance Smedley and together they travelled to America, before returning to England in the 1920s and living in the Cotswolds, the south coast of England, and then finally in London. 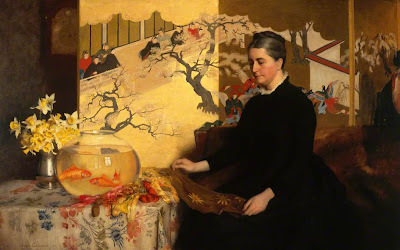 Constance died in the 1940s, but Armfield lived on until 1972, exhibiting until his death. All fine and straight-forward so far, this is just a story about an artist who found his groove in 1890-something and didn't feel a need to change. However, there is more to Maxwell Armfield than meets the eye. 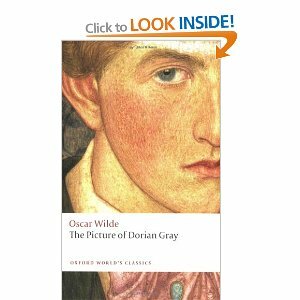 I knew Armfield from the front cover of my beloved copy of The Picture of Dorian Gray by Oscar Wilde. 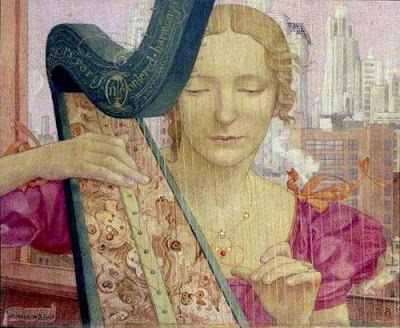 Outside, post-war (and this is Second World War) New York bustles along, but in Armfield's world, a fair princess plays Bach on a harp. If that isn't a battle-cry for mental time-travel, I don't know what is. Outside, it's all smoke and sky-scrapers, inside delicate fingers pluck delicate strings. Sigh and swoon. 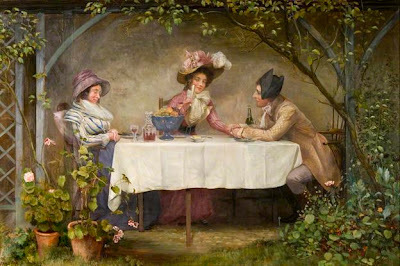 Beginning his career with this Jane Morris look-alike, being courted by an aesthetic young man over tea and flowers, Armfield's art is very civilised, very dignified. We have love and passion, but we also have afternoon tea out of an exquisite pot (which in truth is far prettier than her suitor). Despite being enamoured of the medieval/renaissance maidens of his beloved Italy, there is a strong vein of the modern urban in his art, which Armfield marries together with grace. 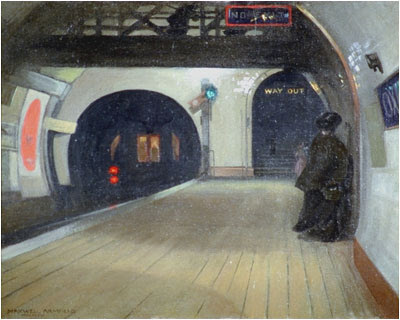 Like the harp-playing angel in New York, the Victorian woman in black sweeping garb looks at once both incongruous and in place as she shelters on the new-fangled tube platform. It is this delicious mix of old and new that brings me to my picture for today, which is Miss Chaseley on the Undercliff. The Armfields stayed in Boscombe, part of Bournemouth, in the late 1920s and Miss Chaseley was their housekeeper. She had owned a newspaper shop in London and had retired to the south coast, where the Armfields had encountered her. 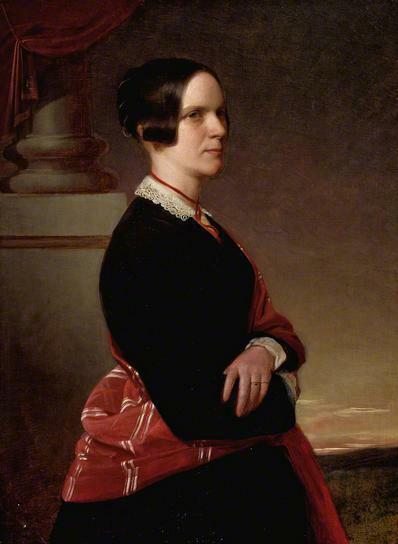 The artist described her as a 'sort of Dickens character', and her face 'evidenced an unusually self reliant and fine character moulded through years of estimable work.' 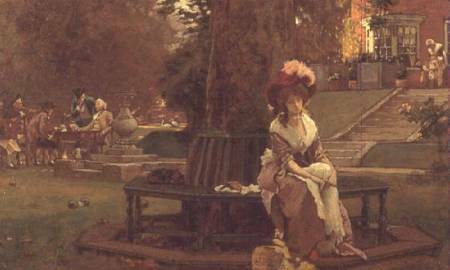 When a curator was reported to have described the picture as being typical of old biddies in Bournemouth (which is renown as a retirement town by the sea), Armfield reacted angrily, saying that there was more to Miss Chaseley than met the eye, that she embodied the best of a previous era placed in a modern setting. The reason I love this picture is that at first glance it is just a picture of an old woman in black, sitting on a bench, but then you look closer. Miss ChaseleyChaseley's gown: she is in the wrong clothes for her time. Old and new collide in the newspaper by her side: the heavy gothic font spells out 'Neo' (possibly a compression of 'The Echo', the Bournemouth newspaper, with the 'h' of 'the' becoming an 'n' in the fold). The old font spells 'new', and the collision of these two notions is the keystone to the image. Miss Chaseley is the old world planting herself in the new, but why is Miss Chaseley so old-fashioned? Look at her hand and try and ignore the fact that she is possibly giving us the finger. On Miss Chaseley's left hand is a ring. This is the only ring she wears and could be argued as being her wedding ring, yet she remains 'Miss' Chaseley. Couple that with her deep mourning and it could be imagined that her husband died, possibly back when her mourning clothes were in fashion. I propose that her husband died at sea, as the little boy next to Miss Chaseley wrestles his toy boat on the choppy pond, but there is no wind to cause those waves. Neither the flappers or Miss Chaseley have any evidence of a breeze disturbing their apparel, yet the toy boat lists dangerously. If there was a Mr Chaseley, then possibly he was lost at sea, his boat sinking and no help arriving, signified by the life-ring, untouched behind the pond. I also wonder if Armfield is linking Miss Chaseley's unmarried state to that of the flappers, the post First World War generation of women who outnumbered the potential husbands. This predicament is highlighted by the two women and only one man in the background. This is not a picture of a sad old woman. 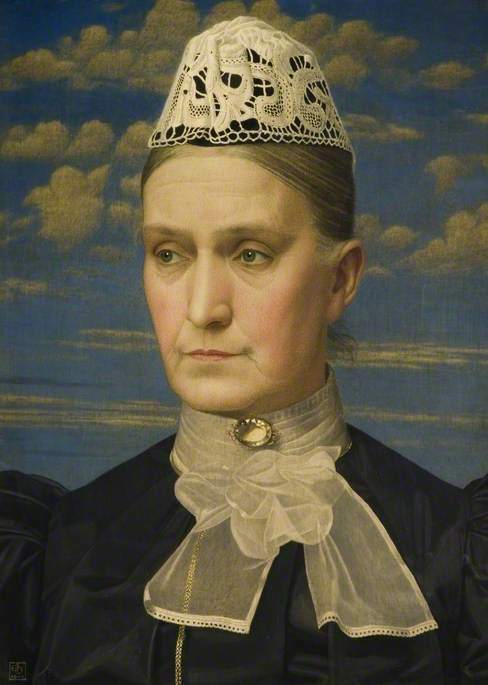 Armfield describes Miss Chaseley in terms of dignity and bygone virtues of character and esteem. Above Miss Chaseley rises the cliffs in Bournemouth, unmovable, unshakable. Whatever life throws at the spinster (or widow), she greets it with a sort of solid stoicism that Armfield admires without disguise. Miss Chaseley is not old-fashion, she is eternal, she is the best of all time. What I love about Armfield is that he obviously didn't care about fashion. A bit like Miss Chaseley, he became the unchangeable, the eternal, painting harp-playing damsels in tempora as the world entered the atomic age. 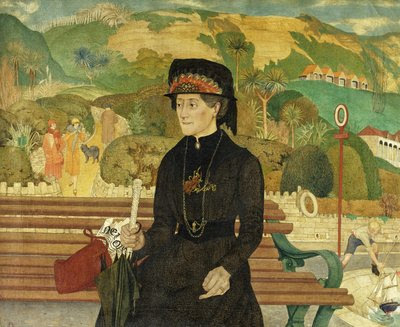 I disagree with Duncan Grant, that Armfield was stuck in the last century; on the contrary he brought it with him and forced his audience to embrace his vision of mixed-era magic, and when it is so beautiful, so moving, who can resist? It is after lunch on Mothering Sunday and I am currently eating chocolate cake while still wearing my pyjamas, so all in all I'm having a good time. Lily-Rose has drawn me a lovely picture of a dog and I received an awesome card with Clytie on the front, so my day is pretty much rocking. 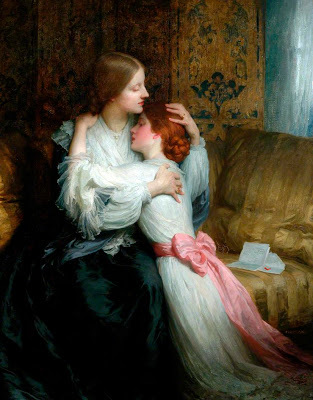 I can't sleep and write for the entire day (well, I could but that doesn't get a blog post done) and so I turned my thoughts to Victorian Mums. 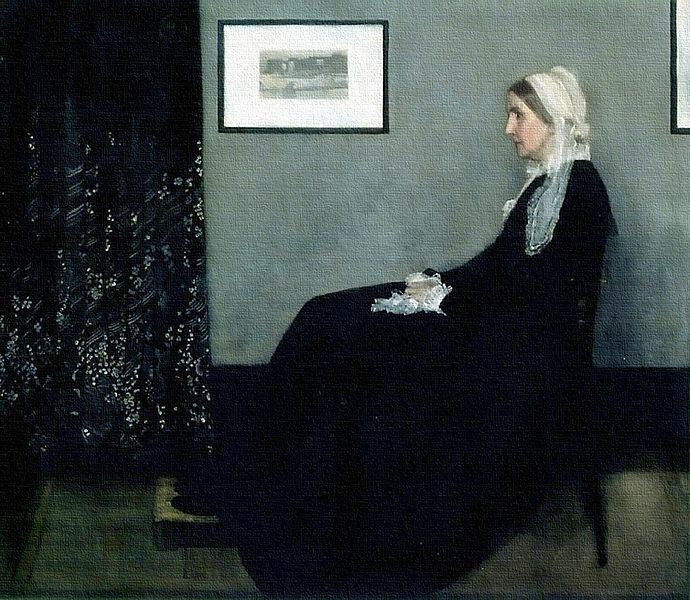 Whistler's Mother. 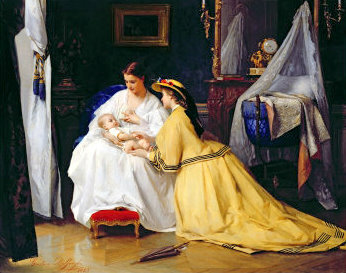 Sigh, it's all a bit dour, all very miserable Victorian maternity. 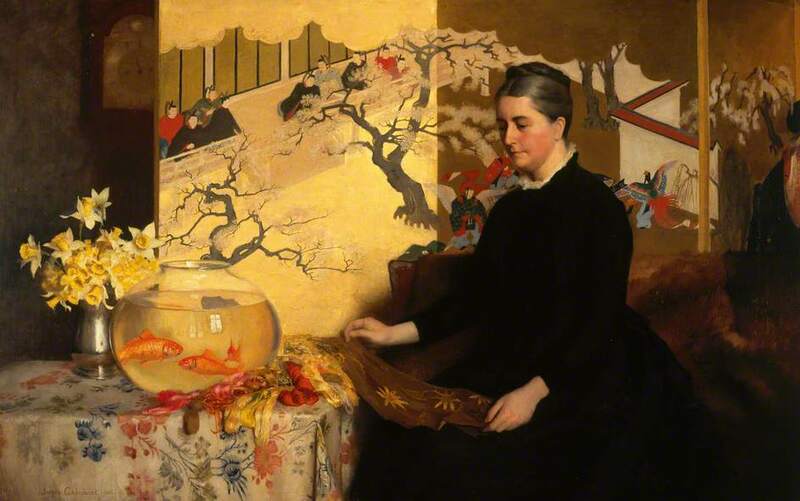 Mind you, maybe poor Mrs Whistler knew she was going to end up being the iconic Victorian Mother, and was never going to be thought of as the world-class fire-eater and tight-rope walker that she was. I may have made that bit up, but you know what I mean. I love this picture, as she looks very prim indeed, but with the most beautiful brooch. I really love that hat too. It's all very well being the subject of your son's picture, but what of the anonymous mother of Nineteenth Century imagery? When the subject is in the abstract, 'the mother' becomes a symbol, an icon, an eternal. Slightly more down to earth, Christopher Williams brings us Mother and Child as a symbol of new beginnings, hope, optimism and all that palaver. 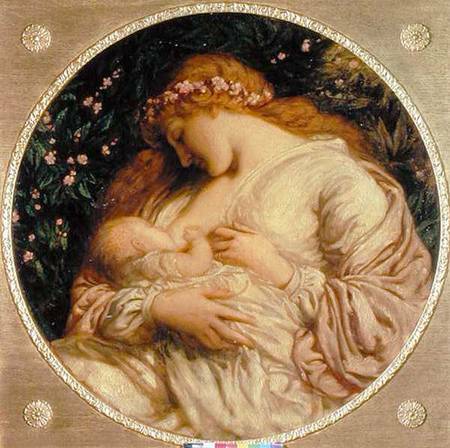 I was surprised at how many images of breast feeding there are in Victorian art; there are scores of them, of all persuasions. When I had Lily-Rose, I was astonished at the scary levels of pressure on both sides to either breast feed or bottle feed your child, and it remains one of the most divisive issues among mothers, and when was the last time you saw a modern image of a woman breast-feeding? 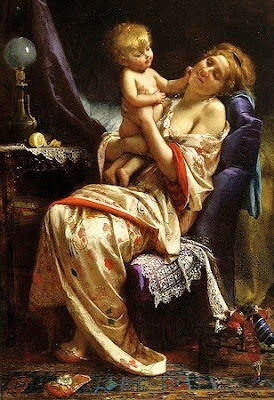 Well, Victorian images of maternity are awash with ladies, bosom out. Hurrah, I say. Mind you, there was no alternative at the time, apart from another lady's bosom. Yes, no sleep for nine months, that when you know what you're made of. Mind you, I went a bit mad after Lily's birth, so I'm probably not a good example, but I do feel so horribly sorry for my friends with their young babies as you can't possibly prepare people for how hard it is. 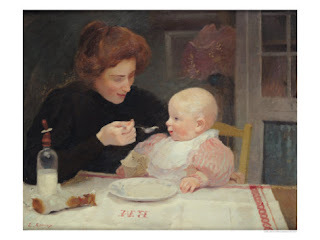 I loved this picture when I saw it on Bridgeman Art Library as it was the only picture which addressed the fact that babies cry. And cry. And cry. 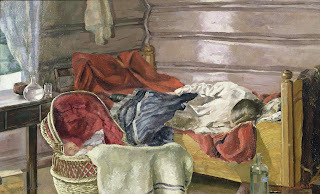 Sleep is a gorgeous luxury and I love the fact that the mother has just completely flaked out, while you can just see the little pink face of the baby, finally asleep in his crib. 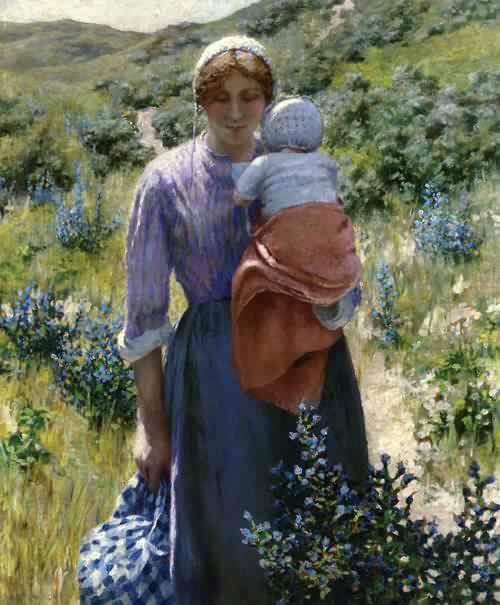 I loved this image, not only because of the delicate colours, but also the baby's glass bottle, which I found fascinating. That is a jolly looking baby, and I respect the woman's choice of black clothes as it hides a multitude of stains. Unless it's yoghurt. Ahh, look, rural sons love their mums. Look, this nice young man has made his old mum some food because he loves her so much. It seems a shame that his sister is using his moment of affection to pick her mother's pocket, but that's life. They are poor after all, so it's good to start your life of petty crime early. Now, this is an interesting one. One day, Lily-Rose will come to me with her tale of woe over some stupid boy. Mmm, can't wait. Alternatively, your daughter might wait for you to fall asleep so she can be inappropriate with said wastrel. Frankly, that hat should have alerted the mother to the character of that young man, but then again, she raised a right little minx so she only has herself to blame. The blues of this image are so sharp and light, glinting off the flowers and the sad little bundle carried by the woman. She has the look of a determined, wronged Hardy heroine, making her escape from the past to an optimistic tomorrow. Although she looks a little crushed by life, she also is bathed in joyous light, so I feel that everything will be alright for her, and she won't be forced to die in the snow. Look at the little feet on the brick wall! This is a giant slice of loveliness, and I don't know if it's an allegory or a portrait or what, and I don't care because it's just so beautiful. 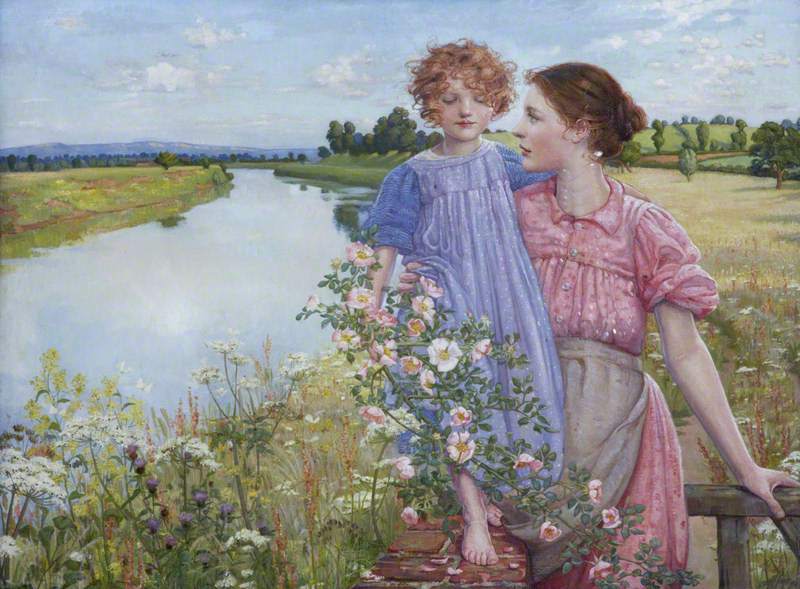 The colours of the dresses picked out in the scattering of flowers, the rough grass and meadow contrasting with the smooth of the river, every inch of the canvas is a delight to look at. The mother supports her little girl as she walks along the wall, her eyes on her determined child whose way is blocked by a tendril of wild roses. The roses block their way, but also seems to bind them, together forever, the mother supporting her child as she makes her way along the wall of life. 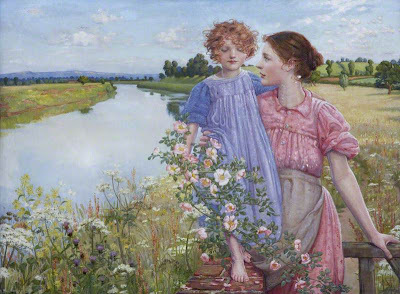 Then again it might just be a picture of a mother and daughter by a river. Not everything has to be a metaphor, you know (although, to be fair, most things are round here). I bet you knew I'd get to gambling sooner or later. In fact, I'd put money on it (oh, la, the irony!) It's hardly surprising really, as the Victorians were a little obsessed with gambling because it touched on two major concerns, namely the acquisition of wealth, therefore progress in society, and the uncertain outcome and ruin precipitating a speedy exit from decency. We're probably no better now, but for the moth-like Victorians the double-edged sword of gaining and losing money was an irresistible flame, and so its place in imagery of the era was assured. A neat little sub-genre of the gambling picture is the 'Won't someone think of the wife (and kids)?' image, as shown above. Mr Gambling Man sits around wasting all the family money while his wife waits, all miserable. For the love of God, woman, sit where he can see your sour face and it might make him think twice, or at least put him off his game. 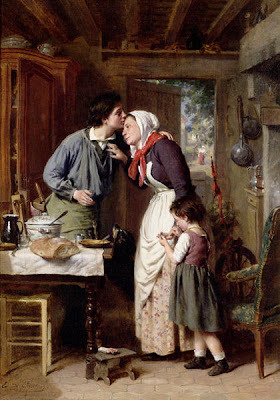 Millais also produced a work of the same title, showing the impact of such irresponsible fun-making on the nearest and dearest. Mr Martineau brings us the sobering tale of a posh family, gone to the dogs, because of the gentleman's love of the gee-gees. 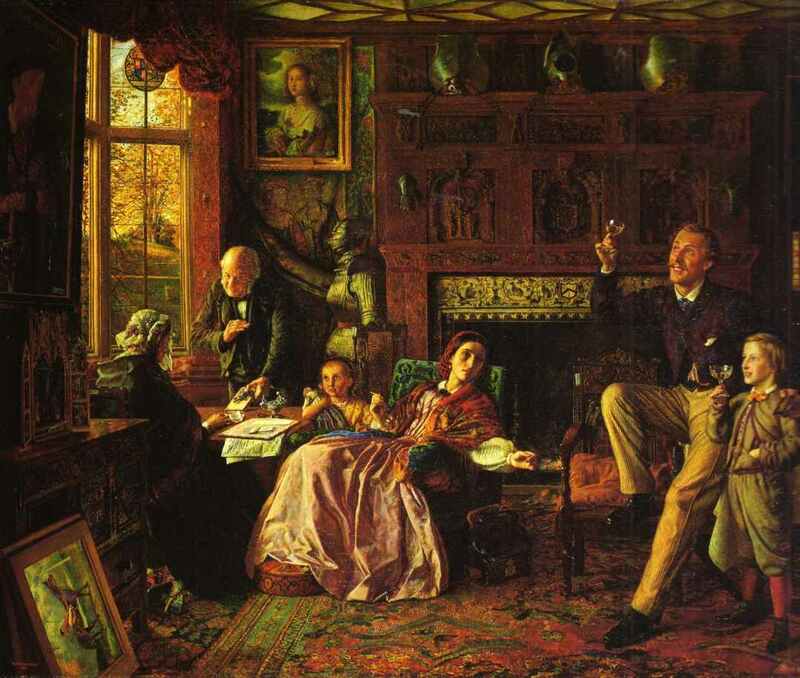 His gambling habit is hinted at by the painting on the left, being sold off along with everything else, as the gentleman and his son raise a glass to their lost fortune. The wife seems to be rather pathetically saying 'Could you not do that, dear?' while her daughter hangs on to her doll for dear life, just in case that gets sold off as well. Martineau's gentleman's fate was rumoured to reflect that of the Duke of Buckingham, who had run up a debt of a million pounds by 1847, when bailiffs came and took possession of his effects. 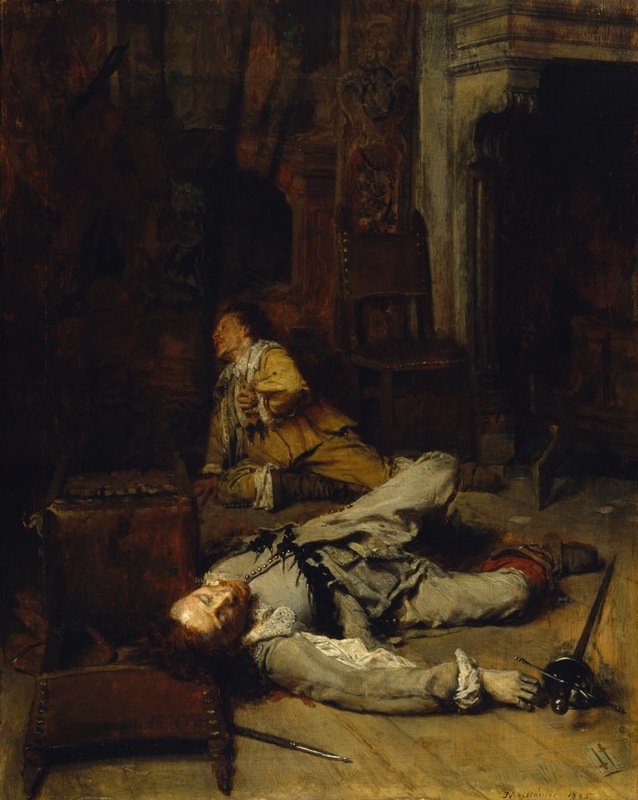 He died in disgrace in 1861, the year before this painting was exhibited. 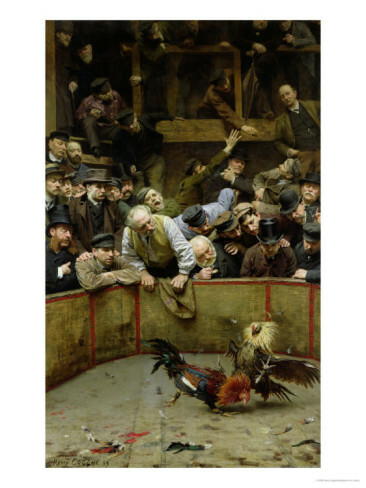 The public were getting a taste for stories of how the rich and famous gambled with their fortunes, especially if they lost. 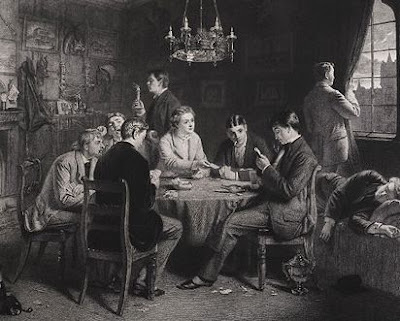 In 1891, the Prince of Wales found himself entangled in the 'Tranby Croft Affair', where a guest at a country house party was accused of cheating while playing baccarat. The guest was exposed and forced to promise he would never play cards for money again. While this was scandal enough, what really got the public in an uproar was that not only did the heir to the throne gamble at cards, he did it often enough to have his own crested counters for wagering at backgammon. I hate to say 'I told you so', however here we find our grown-up gambler in a whole lot of trouble while his wife and children look on. 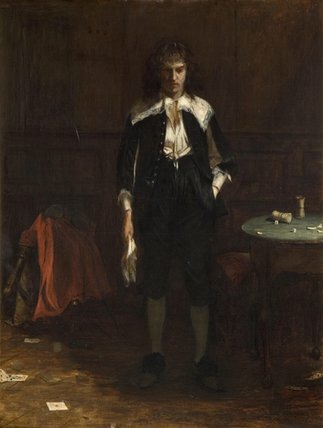 Much like Martineau, Frith shows our young man being very nonchalant in the face of disgrace, smoking a cigarette and wearing his dressing gown. The cad! To sum up, don't gamble, you won't win and before you know it, you're sat on a packing case, clutching a glass of champagne in one hand and a gun in the other, attempting not to get the two mixed up. Take Mr Frith's advice and stay well clear.